When we talk about sugar we talk about simple hydrates in general, however, the World Health Organization does not recommend avoiding all sugars in the diet but those “added” to food. Therefore, today we talk about natural sugar and added sugar, we show you their differences and how to reduce the one that harms our body both inside and out. Natural sugar vs. added sugar. Natural sugars are those naturally present in a fresh food, for example: lactose in milk, fructose in fruits and vegetables, among others, while added sugars are those that are not typical of a food or preparation but rather they are added during processing. Thus, a yogurt can have at the same time natural sugars such as lactose and added sugars to flavor the final product with the aim of achieving greater palatability and profitability. On the other hand, there are preparations or products (always of industrial origin) that do not have natural sugars but only added sugars, as is the case of sweets, soft drinks and other processed or ultra- processed foods. If we look in an isolated way at the sugar of the fruit and of a soft drink, we probably do not find differences in the effect that they produce in our body, nevertheless, these we do not consume them in isolation but as part of foods or preparations. Thus, the effect of natural sugars and added is different depending on the sources and nutrients that accompany them : while natural sugars are usually found in fruits or other foods rich in fiber, water, vitamins, minerals and antioxidants, added sugar can be located in soft drinks and sweets filled with calories without vitamins, proteins, fiber or other nutrients good for the body. 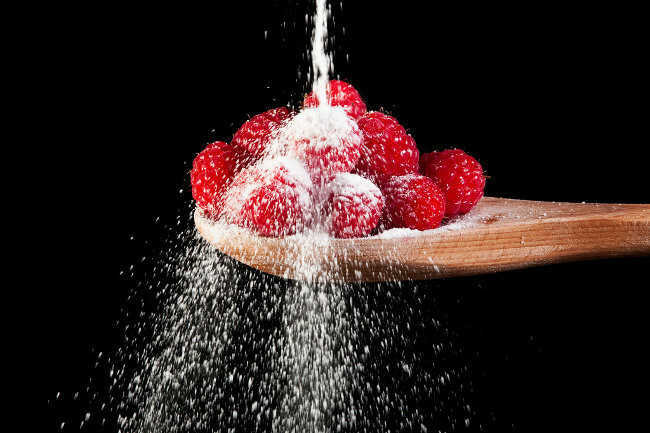 For this reason, we should always look at the whole and consider that natural sugars do not quickly reach the bloodstream but have a lower glycemic response, are generally rich in fiber and antioxidants and that, according to a study published in the American Journal of Clinical Nutrition It has an anti-inflammatory effect in our body that can protect health and also, benefit aesthetics by contributing to the fight against acne, reduce the risk of suffering from a belly, take care of the smile among other positive effects. On the other hand, the added sugars are generally provided by processed or ultra processed foods with low nutritional profile and therefore, have a higher glycemic index by requiring less digestive work, not providing satiety and therefore, offer glucose that quickly becomes present in our blood , which can increase the risk of overweight and obesity, diabetes, cancer and other diseases as the Harvard School of Public Health points out. So, it is clear why the World Health Organization recommends avoiding added sugars without placing restrictions on the sugars naturally present in food. The sugars added as we have said, are what we should avoid in our diet if the goal is to take care of health and aesthetics. Since sugars are added during industrial processing, the first thing we must do is to minimize the intake of processed foods or products. In addition, it is always important to look at the labels on food, because although in Spain the law does not require the distinction of natural sugars and added, in many foods this data is offered or, in the list of ingredients the amounts of sugar are expressed, syrup, syrup or other added sugars that are incorporated into the product. If the amount of total sugar is greater than the “added sugars” that we visualize among the ingredients, it is why the rest are natural sugars that we should not worry about. It is essential not only to attend to table sugar and sweets that are a source of added sugars or industrial origin, but also to look at foods that hide a lot of sugar inside such as cold meats, sausages, breads, among others . In this sense, the campaign of SinAzúcar.org can help us with photos that indicate the proportion of free sugar or added sugars of foods differentiated from natural sugars in all those products that make the distinction in their labeling. Finally, remember that the World Health Organization recommends a maximum of added sugars of 10% of daily calories, which translates into a diet of 2000 Kcal to 50 grams daily. Ideally we should consume 5% or less of the daily calories in the form of sugar or what is the same, a maximum of 5 teaspoons each day. You know, natural sugars are not the same as added sugars, but the latter are the ones that we should limit in our diet if the goal is to be in shape taking care of health and aesthetics. June 2, 2018 in Health.